I have decided to set myself a challenge for the new year. I hope I am not over estimating my capabilities but never-the-less, I am going to give it a try. So that is the challenge I have set for myself. 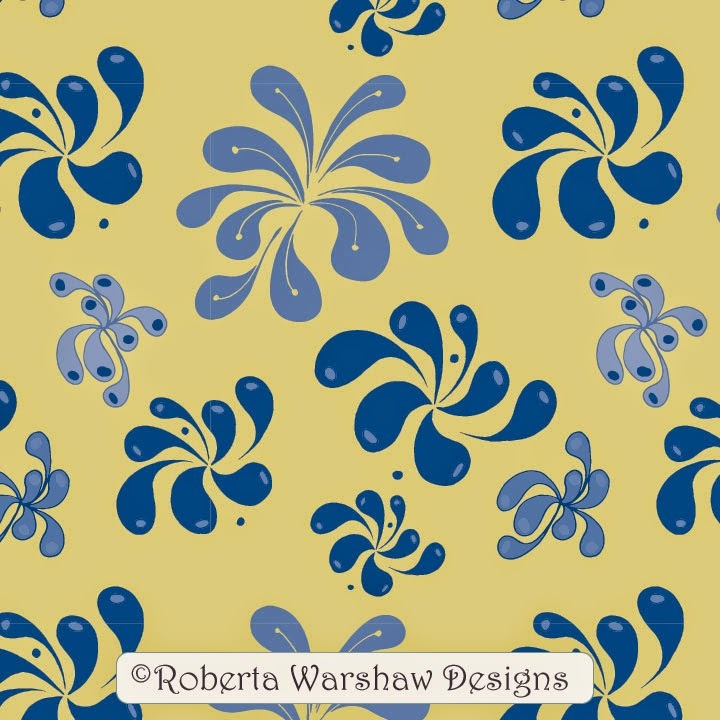 Here is the first pattern using the following Pantone colors: Dusk Blue, Custard, Classic Blue, Marsala, Treetop and Glacier Gray. I won't bother posting the numbers. You can download them on the Pantone web site along with the color report. What a great idea! Always nice to set goals for yourself and we get to see the end results!! Win/win! 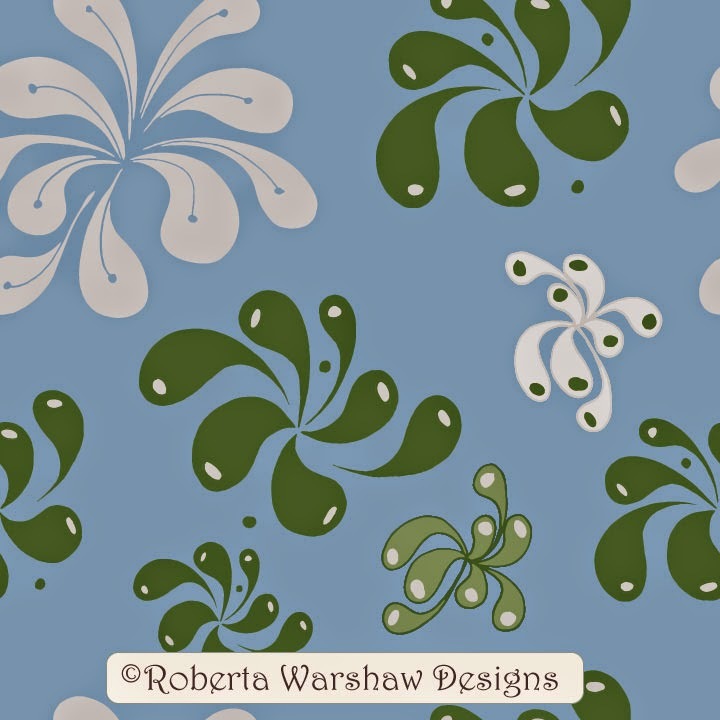 Not only do I love the patterns, but I love how color changes the mood and my reaction. What an interesting challenge! Thanks for doing this and letting us watch. I too love the designs, especially love the colours in the bottom one. Way to go on challenging yourself. I too have challenged myself to draw more (a bit each day if I can!) Thanks for stopping by my blog. Such a great plan, Roberta - and an exciting inspiration for us to look forward to each week! 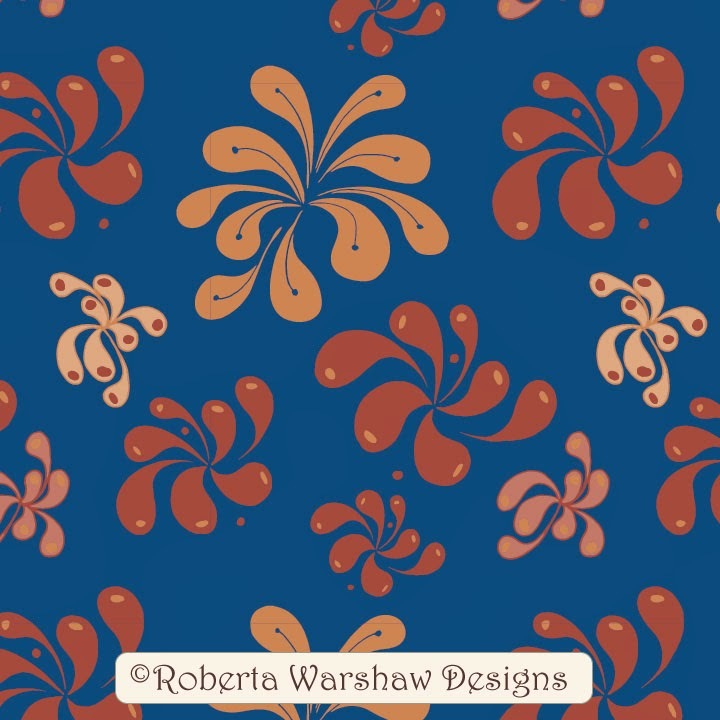 These patterns are really beautiful, and they look great in the different colors. Love them!